Logitech’s Pro Gaming headset was created with the pros in mind. That might seem obvious given the name, but it’s not only built for competitive gaming, it’s competitively priced too. The Gaming Pro features a neutral and sleek design, clear-cut audio, and will appeal to even the most minimalist of us. Still rockin’ earbuds? Here are the best gaming headsets of 2018. In fact, Logitech’s Pro Gaming headset targets the amateurs far more than the pros it deems itself ready to serve. Despite the sounding board of pro-gamers behind the design, it’s simple, smart, and most importantly (to the vast majority of us not up there in the esports hall of fame, anyways) it won’t cost you an arm and a leg. 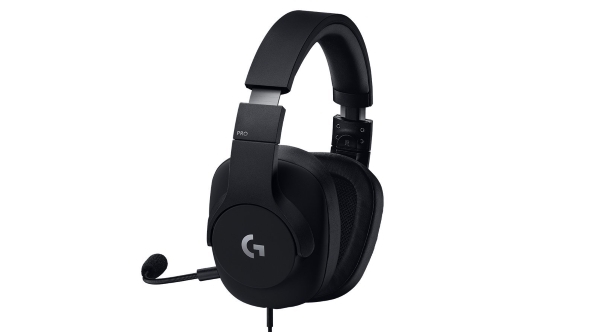 The headset is almost entirely matte black, save for a few Logitech G motifs on either earcup, and the steel slider within the headband. The design slots right in alongside Logitech’s clean-cut G Pro lineup, which includes the Pro Gaming mouse and Pro Gaming keyboard – both with equally minimal, and supposedly esports-focused, designs. The Pro, then, lives up to its name with its no-frills design – so you won’t look a complete berk donning these cans in public. The headband features TR90 nylon, with glass fiber reinforced nylon joints, and a lightweight shell that amounts to 259g for the headset all in. The 3.5mm cable on the Pro is removable too, which adds a little more lifespan to the headset should the cable break or you want to ditch the inline controls. 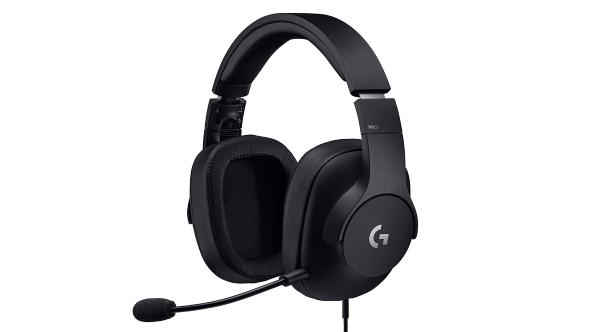 The headset is powered by the Logitech Hybrid mesh PRO-G drivers. These neodymium drivers offer a bog standard frequency response of 20 – 20,000Hz, and they have a sound to match. It’s pretty well-balanced as far as some gamer cans go in the highs and mids, but subtle bass is lost along the way. They aren’t spectacular like the HyperX Cloud Alpha, but has anyone matched their secret sauce yet? Nope. 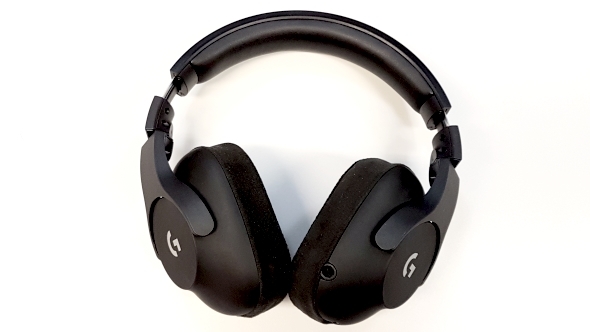 Great positional audio is key to any gaming headset’s worth, but extra layers of sound processing can result in messy or unsatisfactory audio when implemented poorly – especially on cheaper cans. The simple design of the Pro manages to offer clear directional audio without the need for proprietary software, and in doing so, avoids the tinny audio that’s often detrimental to the user experience. This is largely thanks to the exceptionally noticeable sound isolation with the Pro, which is one of the more critical features required by those of us on the verge of gaming stardom. Despite the fairly minimal padding in place around the drivers, the square leatherette head pads block out external noise exceptionally well – up to 16dB by Logitech’s tests – and allows the user to pick up subtle differences within the in-game audio without cranking the volume to unnecessary levels. There’s also a spare pair of microsuede head pads in the box if you prefer something a little less sweaty. Supposedly, leatherette was top priority among esports pros, as to why… I have no idea. These extra earpads can be a little fiddly to exchange, but won’t be going anywhere once fitted correctly. The cardioid condenser mic comes with a pop filter, is very maneuvrable, and can be removed altogether. It sounds pretty clear and gets the job done well, however, it falls short of exceptional, which is a slight shame considering the esports market Logitech are looking to capture in which communication is key. At $90 / £85 MSRP, the Logitech slots right between the likes of the Roccat Khan Pro or Sennheiser GSP 300, and the HyperX Cloud Alpha. The Pro easily prove its value amongst the lower-end headsets, however, the price of the HyperX often wanders down to the £85 – or even ~£70 – mark and the Logitech Pro gaming headset simply cannot match its winning formula. The Pro offers a tailored experience via feedback directly from the discerning eye (ear?) of esports pros. Logitech’s ridiculously talented design team have put together yet another staggeringly well-built and over-designed product, that brings some premium features into a well-priced unit. However, the drivers just aren’t vibrant or booming enough to knock the HyperX Cloud Alpha off its high-end audio perch. 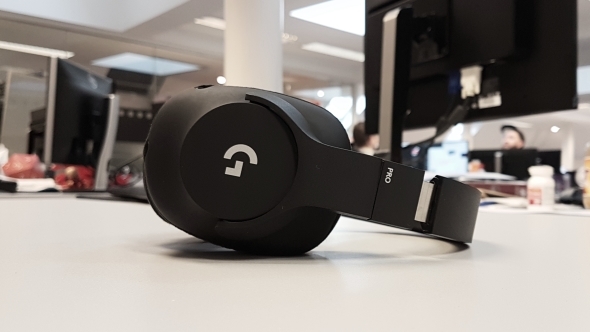 The Logitech G Pro Gaming headset offers pure gaming audio within a meticulously put together package, and in many ways it perfectly fits the bill – but an audiophile headset it is not.